Lucius Quinctius, the proconsul’s brother, captures Leukas and subjugates Akarnania. This year, the Romans elected six praetors for the first time in their history. The two extra praetors – there had been four of these magistrates previously – were sent to Spain to govern two newly established provinces, Nearer and Further Spain (Hispania Citerior and Hispania Ulterior). Marcus Sergius Silus, a distant ancestor of the notorious first century BCE revolutionary Catilina, was one of the six men that were elected. He became the urban praetor and was most famous for his prosthetic hand made of iron. Marcus Porcius Cato was sent to Sardinia to govern it as a praetor. He did his job very well, chased all the usurers off the island and refused to take any gifts or bribes from the Sardinians. 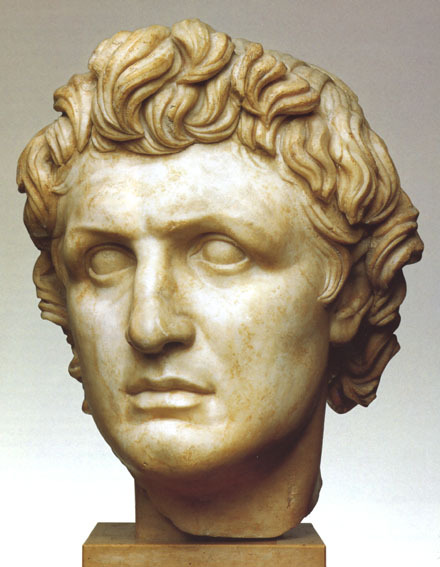 The praetor of Further Spain, Marcus Helvius, soon found himself embroiled in a serious rebellion against Roman rule. The situation was in fact so bad, that the Romans had to send a consul to the region two years later. Gaius Cornelius Cethegus and Quintus Minucius Rufus were the new consuls. One of them would normally have been sent to Macedonia to take over the army there, but two tribunes realised that the Romans were not going to win the war against King Philippos if they kept replacing their commanders every year. The tribunes subsequently used their veto when the new consuls were about to draw lots for the provinces. The Senate then decided to give both men Italy as their province and prolong Titus Quinctius Flamininus’ command to finish the Second Macedonian War. A few thousands reinforcements and replacements were sent to Greece and the former consuls Publius Sulpicius Galba and Publius Villius Tappulus were added to Flamininus’ staff as legates. The new consuls marched north to fight against the Celts and Ligurians. A new alliance had been forged between the Boii, Insubres and Cenomani. This was potentially very dangerous, but the alliance soon broke down when the Boii wanted to defend their homes and the Insubres refused to send them any aid. With the Boii out of the game for the moment, the consul Cethegus decided to send envoys to the Cenomani at their capital of Brixia (modern Brescia in Lombardy). The Cenomani had previously been Roman allies and there was still a strong pro-Roman faction, especially among the elders of the tribe. 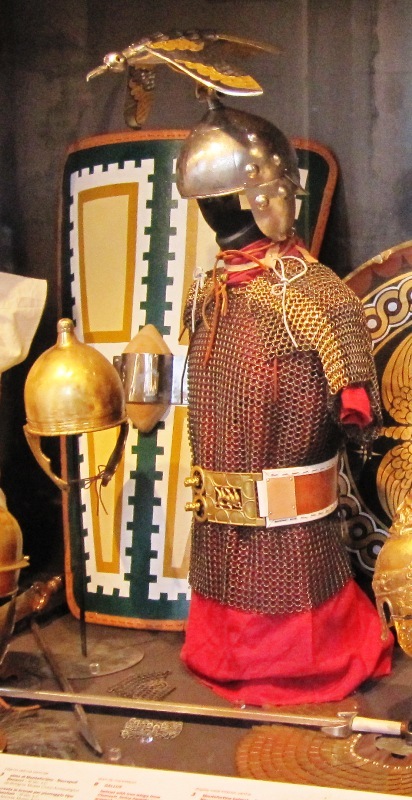 Although the consul’s men could not convince them to defect to the Romans straight away, it was agreed that in the upcoming battle, the Cenomani would remain passive or even attack the Insubres if the opportunity arose. And so it happened. When the consul’s army clashed with the Insubres, the latter were soon routed. They had placed the Cenomani in reserve, not fully trusting their allies. Livius reports that some of his sources assert that the Cenomani now attacked the Insubres in the rear. Whether or not this is true, the Insubres were cut to pieces and thousands were killed. If the Carthaginian officer Hamilcar was still fighting with the Celts, he was now captured and taken to Rome to be paraded in the consul’s triumph. The other consul had first campaigned against the Ligurians near Genua. Minucius had then swung east and invaded the territory of the Boii. These had already heard of the defeat of the Insubres and decided to disperse to defend their fields and settlements. Minucius could not force them to fight a pitched battle and had to take their villages one by one. The Romans were elated with their successes against the Celts and the Senate ordered four days of public thanksgiving. The consuls returned to Rome later this year, met with the Senate at the temple of Bellona and jointly asked for a triumph. Their request was opposed by two people’s tribunes. They argued that Cethegus certainly deserved a triumph, but that Minucius had only won a few minor skirmishes against the Ligurians and had furthermore lost quite a few men against the Boii. The tribunes forced the consuls to table two separate requests. Cethegus’ proposal was adopted unanimously, but Minucius – knowing full well that his request would be denied by the Senate – stated that he would hold a private triumph on the Mons Albanus instead. Cethegus’ official triumph was a spectacular affair. His chariot was preceded by many enemy standards, loot and captured Celtic noblemen. Grateful citizens of Placentia and Cremona marched behind the chariot, wearing the felt cap (pilleus) of a freedman as if they had been liberated from slavery by the consul. While in his winter camp, the consul Titus Quinctius Flamininus had been approached by the Macedonians to open negotiations. The elections for the consulship had not yet been held and Flamininus was still very much in the dark about whether or not his command would be prolonged. Negotiations were therefore an attractive option for him. If a new consul was sent to Greece to replace him, he could quickly make peace and end the war. But if his imperium was prorogued, he could always reject the peace terms and seek a decisive battle. Both parties agreed to meet each other at Nikaia on the Malian Gulf. King Philippos had sailed there from Demetrias, but refused to leave his ship. And so both parties talked, the king standing on the prow of his flagship – a beaked warship known as a pristis – and the consul with his allies on the beach. The consul repeated his demand that the king withdraw his troops from all the Greek cities. Then the Roman allies spoke too: the Pergamenians, Rhodians, Achaeans and Aetolians all made their demands known to the king. Philippos responded sharply, mocking the Aetolian strategos for his bad eyesight and claiming that most of the Aetolians were not even Greeks. His ironic humour apparently pleased the Roman commander, who frequently laughed. The negotiations, however, broke down. The next day, for a long time it seemed that the king would not show up. When he did show up, he asked for a private conversation with Flamininus and made a few concessions. These were not acceptable for the allies, and a third meeting was scheduled at Thronion. There, a two-month armistice was agreed and all parties sent envoys to the Senate in Rome. The Senate listened to all the parties involved, and the senators quickly realised that the whole matter hinged on the status of the three so-called “fetters of Greece”: Demetrias, Chalkis and Corinth (or rather its citadel). Asked whether they were prepared to evacuate these cities, the Macedonian envoys replied that they had not been given a mandate to make that concession. No peace agreement was reached. Flamininus’ imperium was prorogued and he was allowed to continue the war. Cretan archer (source: Europa Barbarorum). 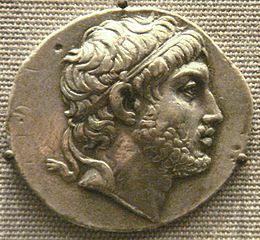 King Philippos was desperately short of allies, and in an attempt to win over the Spartan tyrant Nabis, he agreed to temporarily cede the city of Argos to him. Nabis proved to be very unreliable, as he almost instantly defected to the pro-Roman camp. The Achaeans and Spartans were still formally at war with each other, so Flamininus first ordered them to agree to a four-month truce. He then ordered the tyrant to provide the Romans with auxiliary forces in return for a treaty of friendship. Nabis subsequently sent the Romans 600 Cretan mercenaries. Things were beginning to look very bleak for Philippos when Flamininus also managed to get all the cities of Boeotia on his side. There was one major setback for the Romans: during the negotiations at Thebes, their faithful ally King Attalos of Pergamum had suddenly collapsed. Attalos was now 72 years old and the disease (probably a stroke) left him paralysed. Flamininus took good care of the king before returning to his camp at Elateia. In Macedonia, the king had started recruiting sixteen-year-olds and veterans to strengthen his army. He assembled and trained his forces at Dion, and Livius claims this happened around the Spring equinox, so towards the end of March. Philippos’ army was composed of 16.000 phalanx pikemen, supported by 2.000 peltasts, 4.000 Thracians and Illyrians, 1.500 mercenaries and 2.000 horsemen. So all in all, the king could field an army of some 25.500 men. According to Livius and Plutarchus, the Roman army was about the same size. However, it may have been somewhat larger. Flamininus himself commanded a full consular army of some 20.000 Romans, Latins and Italian allies. This was reinforced by 6.400 Aetolians, 500 Cretans from Gortys (perhaps the troops provided by Nabis), 600 men from Apollonia in Epirus (a Roman protectorate since the First Illyrian War) and 1.200 infantry from King Amynandros of the Athamanes. This makes a total of 28.250 men, so the Romans probably outnumbered the Macedonians, though not by a large margin. Now both armies marched into Thessaly. They first had to find each other, a difficult task in Antiquity. A cavalry skirmish took place near Pherai in south-eastern Thessaly, in which the Romans and their allies came out on top. But since the terrain here was not suitable for a pitched battle, the two commanders left the region and – unbeknown to each other – they both marched west in the direction of Skotoussa, where Philippos hoped to find grain to feed his army and the proconsul wanted to destroy it before the king could seize it. Completely unaware of each other’s presence, the two armies marched on opposite sides of a ridge known as the Dog’s Heads (Cynoscephalae; I will use the common Latinised version of the name since it is a famous site). There, at the end of May or the beginning of June, the king camped north of the ridge, while the proconsul made his camp on the southern side. The weather was awful. It was raining and there was a heavy fog as well. Philippos decided to send some men up the ridge, and since great minds think alike, Flamininus decided to do the same. The king’s men reached the top of the ridge first and were startled when they suddenly saw the Roman scouting party approaching. Both sides should probably have pulled back. The terrain was horrible for fighting a pitched battle, rocky and steep as it was. But the two parties clashed and the Battle of Cynoscephalae had started. Since the Macedonians had reached the top first, they could fight downhill and quickly began pushing back the Romans. Heralds were sent to the proconsul, who immediately sent in reinforcements. These men were mostly Aetolians and they seem to have fought exceptionally well. Now it was the king’s men who were being pushed back. By this time the fog had mostly lifted, and Philippos ordered most of his mercenaries and auxiliaries to come to the aid of his hard-pressed troops. The king sent in his Macedonian and Thessalian cavalry as well. Once again, the Romans and their allies were driven off the ridge, but the Aetolian horsemen fought a spirited rearguard action, and when they had reached the valley, the Romans managed to reform their line. Now both commanders – hesitantly and unwillingly because of the poor terrain – committed their entire army. They had not planned this battle, but now that it was underway, they had little choice but to fight it out. The Roman left wing reached the troops fighting in the valley and managed to drive king’s mercenaries, auxiliaries and horsemen back up the hill. But now Philippos’ core troops, his pikemen, had reached the top of the ridge. They quickly deployed into a dense phalanx, lowered their sarissas and charged down the hill, supported by the peltasts. Although the rocky terrain must have been far from ideal, the Macedonians were fighting downhill in a very deep formation and the Roman left wing was unable to stop their attack. Dozens of Romans were killed and the rest began to retreat. Flamininus could have lost the battle here, but the Roman commander managed to keep his nerve. Flamininus realised he needed to win the battle with his right wing. This part of his army had probably already marched past the Macedonian phalanx that was fighting the Roman left wing. When it got close to the top of the ridge, it found the units of the Macedonian left wing still in marching order. These men were poorly led as well, and the proconsul attacked them with his war elephants. The huge animals caused an almost instant rout. The Macedonians fled with the bulk of the Roman right wing on their tail. If the Romans had kept pursuing the fleeing enemy, the Battle of Cynoscephalae would presumably have ended in a draw, with both sides routing each other’s left wing. But a clever Roman tribune took twenty maniples – some 2.400 men – and wheeled to the left, appearing behind the king’s forces on the Macedonian right wing. The maniples, still fresh, then attacked the pikemen in the rear. The Macedonian phalanx was highly inflexible and the pikemen were unable to turn to face the new threat. The phalangites were now attacked from two sides and soon lost formation. After many of them had been cut down, the Macedonian line collapsed into rout. The Battle of Cynoscephalae was now over. It had been a bloody affair. The Romans and their allies lost just 700 men, but 8.000 Macedonians were killed and 5.000 captured. Philippos had lost over half of his army. Quite a few Macedonians were killed as a result of an unfortunate incident (if it was an incident at all). Some units of pikemen had held up their sarissas, a traditional sign of surrender. The Romans had no knowledge of this Macedonian custom, and although it was explained to Flamininus on the spot, some of his soldiers had already charged in and killed most of their defenceless opponents. When he had realised that the battle was lost, King Philippos had left the battlefield with some infantry and cavalry and retreated towards Larisa. He gathered up stragglers and ordered the royal archives in Larisa to be burned, fearing that the documents could be used as evidence against him. He then sent a herald to Flamininus, asking the proconsul for a truce so that he could bury his dead and sent envoys to discuss peace terms. Flamininus granted a fifteen-day armistice and it was agreed that all parties would meet in the Vale of Tempe for negotiations. Titus Quinctius Flamininus (photo: PHGCOM/British Museum). Flamininus then called a meeting of the Roman allies to gauge what peace terms would be acceptable for them. Here, the proconsul had an argument with the Aetolians, whose arrogant behaviour he found immensely annoying. Relations between the Romans and Aetolians had already been deteriorating for a while. After the battle, the Romans had stormed the king’s camp, only to find that it had already been looted by Aetolian troops. The Aetolians had certainly contributed to the victory, but they behaved like they, and they alone, had defeated King Philippos. Flamininus was much offended by an epigram written by the poet Alkaios of Messene, which suggested that Emathia – the ancient name of Macedonia – had been “subdued by the sword of the Aetolians, and of the Latins whom Titus led from spacious Italy”. Now the Aetolians demanded that Philippos be deposed or executed. Flamininus, however, wanted to be magnanimous in victory. He was convinced that Macedonia needed to survive in order to maintain the balance of power in the region. The kingdom could be a useful buffer state against incursions from Illyrians, Thracians or Celts. The proconsul even rebuked the Aetolian strategos when the man interrupted him. The next day, the parties met in the Vale of Tempe. Philippos declared that he would accept all the terms tabled by the Romans, including the evacuation of all of Greece. Again the Aetolians proved to be a nuisance when they claimed certain cities that had placed themselves under Roman protection. They cited an agreement from the First Macedonian War that stipulated that captured cities would become property of the Aetolians, but Flamininus bluntly told them that these cities had not been captured, and that the agreement was no longer valid anyway, as the Aetolians had deserted the Roman cause by making a separate peace with King Philippos in 206 BCE. A four-month armistice was then agreed with the king, who immediately gave his son Demetrios and some of his friends as hostages, as well as 200 talents. Philippos had not just lost at Cynoscephalae. At about the same time one of his commanders had been defeated in the vicinity of Corinth by the army of Achaean League. 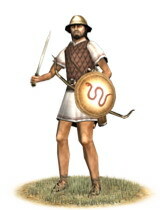 Achaean soldiers were also active in Asia Minor, where they helped the Rhodians to defeat another one of Philippos’ generals and recapture parts of the Rhodian Peraia in Karia. Lucius Quinctius, the proconsul’s brother had meanwhile subdued Akarnania (west of Aetolia), the last Greek region still loyal to the king. When diplomatic overtures had failed, Lucius had stormed the Akarnanian capital of Leukas (now Lefkada). The citizens had resisted fiercely, but some Italians living in Leukas had secretly admitted Roman soldiers into the citadel. Lucius then surrounded the remaining defenders at the forum and cut many of them down before the rest surrendered. A few days later, all of Akarnania was under Roman control. The year 197 BCE had been a disaster for Philippos. He had lost his army and his last allies, and his generals had been defeated as well. But the king had not lost any of his energy. When the Dardani invaded Northern Macedonia and believed they could win an easy victory, Philippos managed to assemble a small force and utterly defeated them near Stoboi in Paionia. His throne was secure for the moment. Meanwhile, King Attalos had died in Pergamum. He had been on the throne for 44 years (241-197 BCE). He was succeeded by his son Eumenes II, who soon had to deal with a third king active in the region, Antiochos III the Great, ruler of the Seleucid Empire. 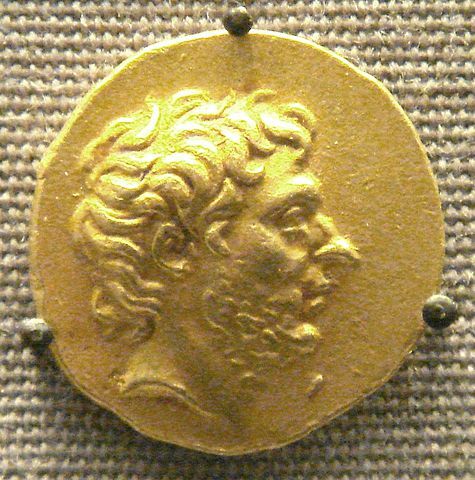 Up until now, Antiochos’ Fifth Syrian War against the Ptolemies of Egypt had been a complete success. 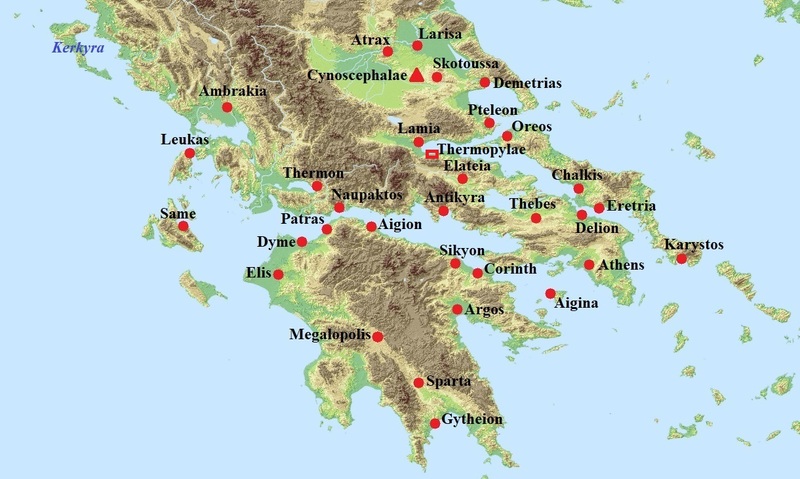 He was now targeting the Ptolemaic possessions in Asia Minor, west of the Taurus Mountains, and managed to capture Ephesos in Ionia this year or the next. This brought him close to the territories of Pergamum and Rhodos, who were understandably nervous. No doubt they were already thinking about calling upon the Romans again. Although relations between Rome and the Seleucid Empire were not bad and Roman diplomatic efforts had paid off in previous years, a new war seemed to be looming. Plutarchus even claims this was one of the reasons why Flamininus was eager to make peace with Macedonia. This not entirely implausible, but we should keep in mind that Plutarchus, who wrote some three centuries later, had hindsight. Polybius, The Histories, Book 18.1-18.12, 18.18-18.27, 18.34, 18.36-18.41. He had already been reported killed by Livius for another encounter in 200 BCE. This was a sort of alternative triumph, paid for by the triumphant generals themselves. The word means ‘sawfish’ in Greek. Cassius Dio claims he died in the midst of his speech, but it is probably better to accept Livius’ version that he died in Pergamum later this year. It has been suggested that Polybius, our main source for the battle, was himself using Aetolian sources and contacts while writing his account of the battle. These no doubt exaggerated the Aetolian role in the fighting. Plutarchus, The Life of Titus Flamininus 9.2. Cassius Dio, writing in the third century CE, also believed that “the Aetolians caused the Romans to prevail” (Fragments of Book XVIII).